The behind-the-scene video of the actress was uploaded on Youtube and became viral. 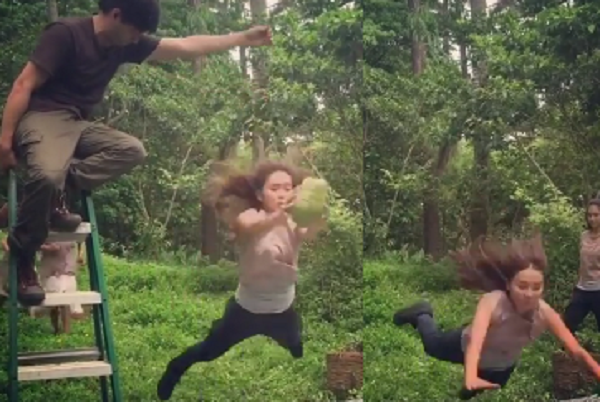 The stunt involves running, jumping and grabbing a coconut before it fell to the ground. Her co-star Joross Gamboa was also caught on the video requesting some of the crew members to adjust the cushion's position for her safety and praising her for her performance.